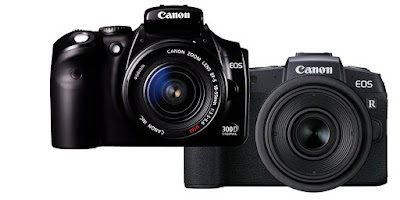 Looking now at the EOS 300D, you might not get the hype. 6.3 megapixels seems positively paltry compared to the megapixel monsters you see nowadays – with the EOS 5DS weighing in the heaviest at over 50MP. It didn’t have focusing or drive overrides either. Its most significant feature was price. It was the first DSLR camera to break the £1000 barrier. And it was a deliberate and decisive move that Canon made. The same now with the EOS RP. True, body only price is above that magic £1000 line, but it’s a full frame camera, something that normally makes cameras prohibitively expensive. The EOS 6D was launched in 2012 at £1799, the 6D Mark II five years later at £1999. 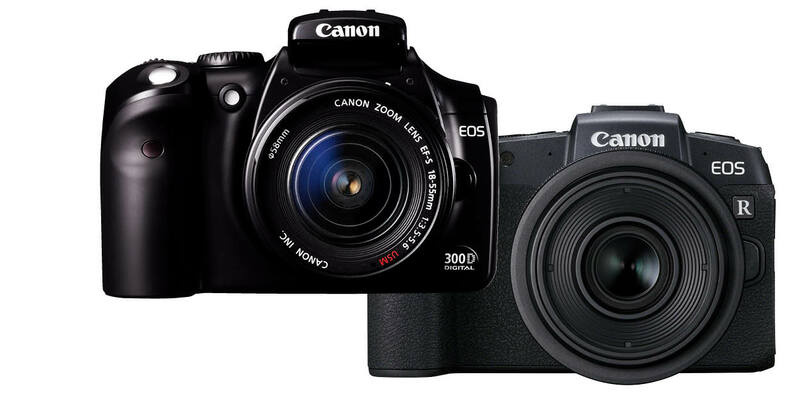 The EOS RP is launching at £1399. In fact, the cost of full frame sensors was exactly why cameras like the 300D were created – with their smaller crop sensor (1.6x smaller than full frame), it reduced the cost of the materials, creating an accessible entry level point, with cameras more affordable and lighter too. 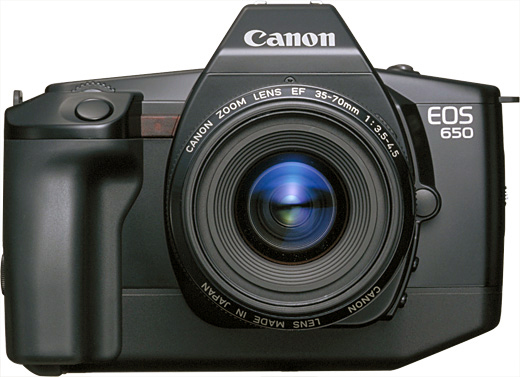 At the time, Canon believed the EOS 300D to be the single most important consumer SLR camera since the AE1 in 1976. Just as the AE1 triggered an SLR revolution through being the world's first camera with an embedded microcomputer, Canon believed the EOS 300D will be seen as the point in history when the SLR market shifted irrevocably to digital. Likewise you could say that the launch of the EOS RP will, in time, be seen as the turning point from DSLR to mirrorless. 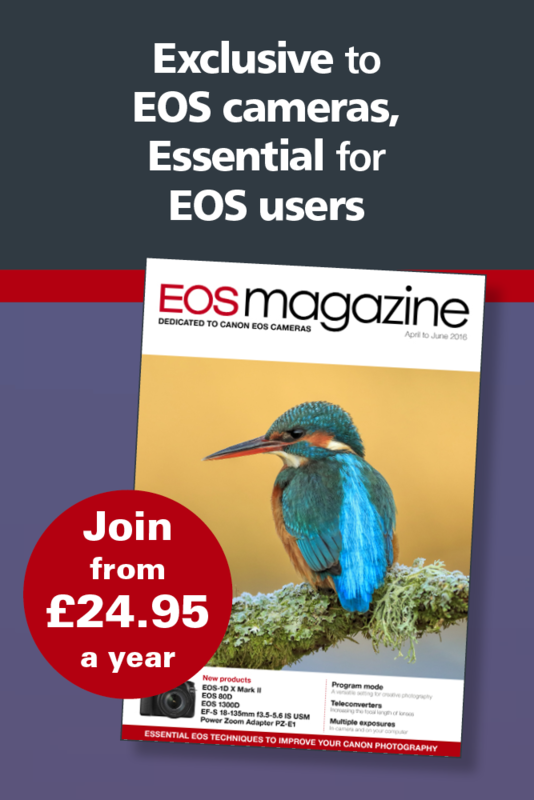 There’s one other point in history that is useful to consider in terms of the EOS R roadmap, that we were reminded of during an interview with Canon Europe’s Mike Burnhill (more of that in the April-June 2019 issue). Canon goes low, before it goes high. Look back at the EOS 650 – the first camera announced with the launch of the new EOS system in 1987. This SLR camera became the mid-point in Canon’s consumer range. It launched at £299. Then came the EOS 620 (£409, slightly higher specced, but essentially the same as the 650), then the EOS 750 (1988, £209) and the EOS 850 (1988, £179). When did the professional version arrive? Not until late 1989 – two and a half years after the first EOS camera. The EOS 1 launched at £899. This then translates across to the EOS R system. EOS R (2018) – mid-range, consumer. EOS RP (2019) – entry level, consumer. The professional version of the EOS R will come, no doubt, in good time. It will have the familiarity that professional photographers want, and the performance that they need. Only time will tell whether the EOS RP will become that pivotal moment in camera history. The EOS 300D went on to sell 1.4 million units before being replaced in 2005 by the EOS 350D. It certainly put what was then new tech in the hands of the many. With the naming of the EOS RP – the P standing for popular – you can tell instantly what Canon is hoping for.